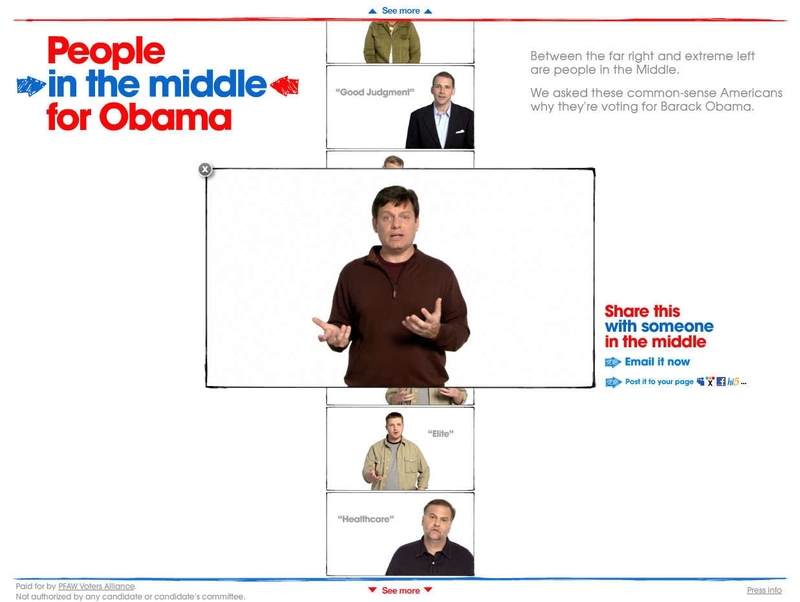 With less than a week left before election day, a few notable creatives have launched a timely site for voting alliance People for the American Way called "People in the Middle for Obama." 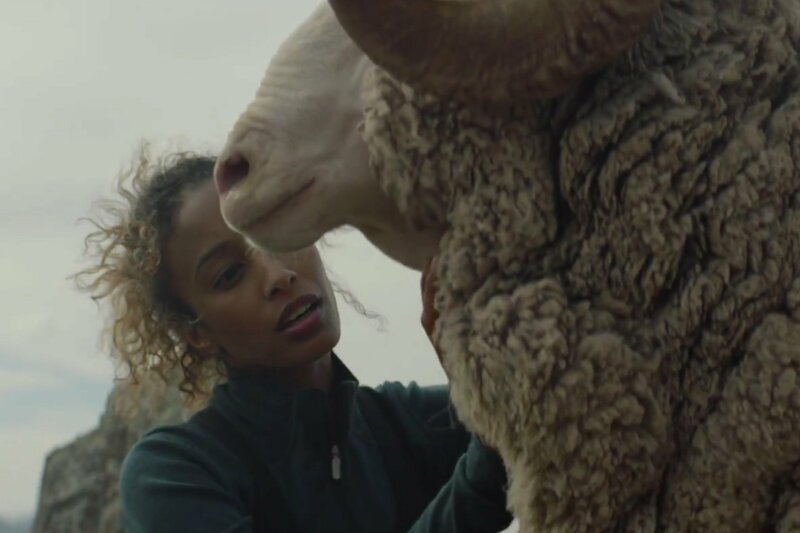 The site offers several video monologues directed by Errol Morris featuring average citizens who give their reasons for throwing their support to Obama. Everyone from independents to Republicans cite reasons that range from his intellect to his healthcare and tax plans to even his eyes. You can also send your favorite videos to friends or embed them on your Facebook, MySpace, Bebo, etc.